Diseases caused by vaccine poisons. 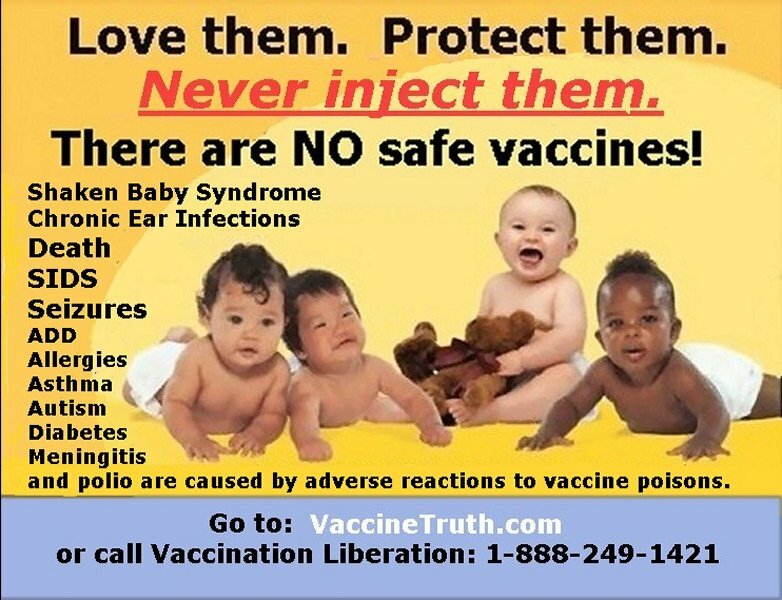 One version of Vaccination Liberation's Poster. 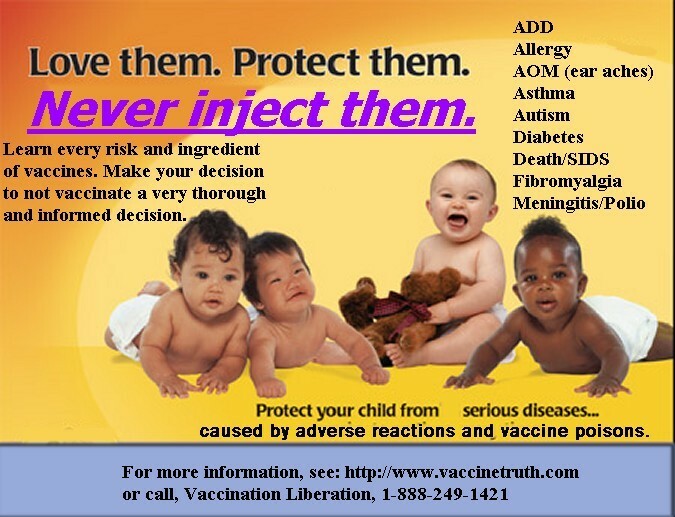 Another version of Vaccination Liberation's Poster.